The Great Ammendments Jeffersonian Anti-Slavery Quotes The New, New, New Nation Norvu Ordu Seclurum The GEN Why GOD? 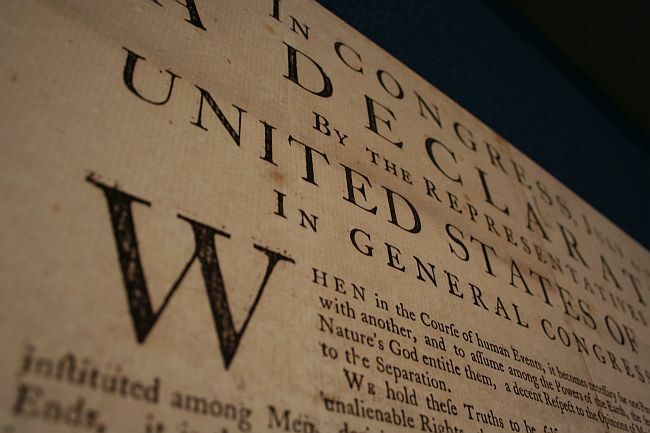 The Declaration of Independence is the First Legal and Defining Document of the United States of America, the self-proclaimed, exceptional and unprecedented, Judiac-Christian, Divine Provenditial, "one nation under GOD"
Of all the topics, entities, institutions and even individuals mentioned in the legislation justified our founding fathers' inalienable rights to revolt against the tyrannical abuse of Nature's laws by a certain King of England, our Heavenly Abba FATHER is the Central Figure. Yet, too many certain Americans are ignorantly attempting to implement the proclamations published in the Declaration without first acknowledging the Presence of the Only King to whom they supposedly bow and HIS concerns, which is precisely why there is this strange and unnecessary faltering of the United States today. Americans, take heed, read and understand that in a Judaic-Christian society-nation, among other symbolisms, the Cross represents the vertical and horizontal existence between GOD and humanity. It is taught that the vertical portion of the Cross be-speaks the relationship between the Creator and humanity, while the horizontal is that between humanity ourselves. 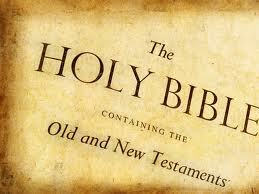 ...because upon these two commandments hang all the law of Moses…the Word of GOD. Hence, the vertical and horizontal nature of the Cross bespeaks the triangular relationship of GOD and humanity. According to the Preamble of the United States Constitution, the founding fathers bound and destined us, their Posterity to a dutiful, Judaic-Christian, “love GOD and neighbor” fate. Interestingly, similar to the New Covenant in which individual eternal salvation is purchased by the shed blood of the Lamb of GOD, even before the foundation of the earth, the fate of Judaic-Christian America is also sealed by the shed blood of thousands of men and boys sacrifived in the July 4,1776 Revolutionary War of Independence against and from the British Empire. Officially being the first legal and therefore defining document of the new American government, the Declaration of Independence is its’ National Birth Certificate, Business Contract and Sacred Blood Covenant with its Central Figure.  In his Gettysbure Address on November 19,1863, President Abraham Lincoln solemnly spoke of the epic quarrel that the founding fathers had with the English Crown concerning their conception of the United States as one being independently in the spirit of liberty from tyranny, and dedicated themselves and their Posterity, to confirming the proposition “that all men are created equal” indeed.  This proposition of the founding fathers foisted upon the suceeding generations of their posterities, is the very theme of the US Civil War. In other words, if the United States doesn't erradicate chattel slavery and bring the freed slaves and their descendants into the citizenship "...as is enjoyed by White citizens", then the proposition that the founding fathers made that "all men are created equal" by GOD, etc, is actually a false one. See "White Citizens"
Essentially, the founding fathers placed the integrity of GOD on the line before the whole world for generations yet to come. Also, as a business contract or covenant, the Declaration is one between the founding fathers’ Posterity and The Central Figure of the document, that the unmentioned population of slaves under the oppressive King George, considered to be chattel (living property), would eventually be freed and brought into equally experienced US citizenship "...as is enjoyed by White Citizens". As long as the succeeding generations of posterities earnestly strive to overcome the nation’s inherited greed factor, replacing it with fulfilling the ultimate objective of the founding fathers for the new nation, then the Judge of all the earth will deem it proper to maintain our existence as such. If not, HE Himself will end this "one nation under GOD". Unfortunatel at this time, it is clear by the growing body of evidence that the doom of our country is apparently iminent, because the posterities have not lived up to the mandates of the founders in the great Declaration. Being a professed Judaic-Christian nation, we aught to know that the DIETY under whom we have placed ourselves has certain ways in which HE deals with or visits upon nations, particularly those who profess unique relationships with HIM, such as: the Kingdom of Israel from antiquity until modernity, along with the myriad of Christian monarchies of Africa and Europe, and now the United States. Of all these governmental states “under GOD”, it is the United States of America who boastfully proclaims itself to not only be Judaic-Christian, but indeed EXCEPTIONAL from all others, being especially chosen of The LORD for specific purposes among the nations of men. Read more and take heed, "America, The Exeptional"
Home The Declaration of Independence Central Figure Pt I Central Figure Pt II The Three Identities National Birth Certificate Divine Business ContractNational Blood Covenant Gettysburg Admonition - Warning The Gettysburg Address The Jeffersonian WarninJeffersonian Anti-Slavery Quotes Declaration of Independence: Short-Edited The New, New, New Nation Norvu Ordu Seclurum The GEN Why GOD?